this morning i want to perform a random act of appreciation to the one…the only...aunt sally. 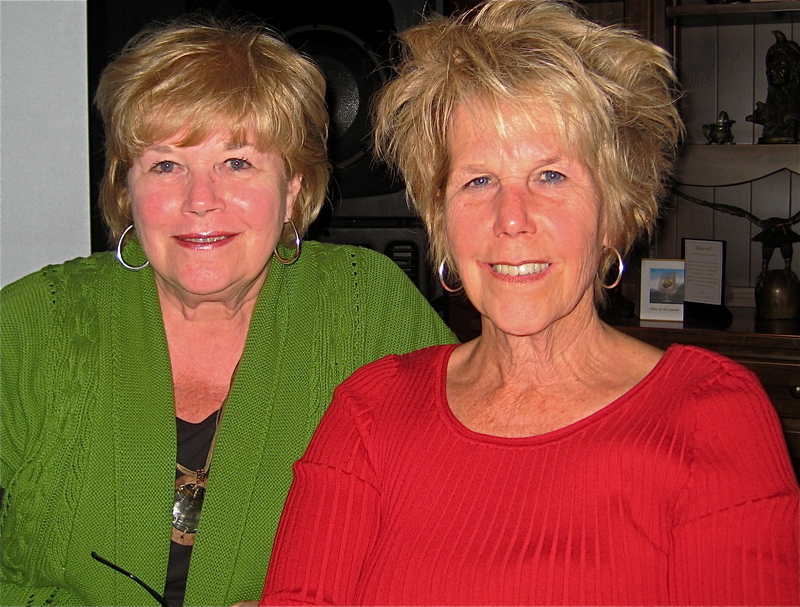 now, i want to point out that i have three wonderful aunts – aunt jean and aunt annette too. each deserves their own shout out. today i want to let my aunt sally know how much i appreciate her. my aunt sally is my mom’s younger sister and they are very close. she has been not only a great sister to my mom but the two of them are very, very good friends. she was a third grade teacher for many years before retiring and even if you only spent a couple of minutes talking with her you can tell she was an excellent teacher. she’s kind and patient and loving. there are so many stories i could share. like the time my family drove in vanna white from chicago to san fran then down to long beach where my aunt lives. from there my dad begged out and flew home and aunt sal, cousins britt (britzo) and kirsten jumped in the van and drove back to chicago together. what fun memories. i was a teenager and really into boys and my two younger cousins were lots of fun. we watched vhs movies from a portable vhs player that plugged into the lighter. we memorized “sixteen candles” (look fred, she’s gotten her boobies!) and we listened to the same music over and over again. mom and aunt sal sat in the front seats and took charge of the group. i appreciate aunt sal for all the support she has shown our family and me through the years. when mom was going through the pain of divorce, she flew to dallas several times to be with her and us. she and my mom slept in the same bed and i could hear them talking all night long. i think one of the biggest times i felt the comfort of aunt sal was at my dad’s funeral. she flew in and helped out and just her being there reminded me that our circle of family wasn’t just 5 people but a bigger circle of family who care – with aunt sal there leading the pack. she was such an important part of my wedding weekend as was uncle ed. they made ROF feel like part of the family. 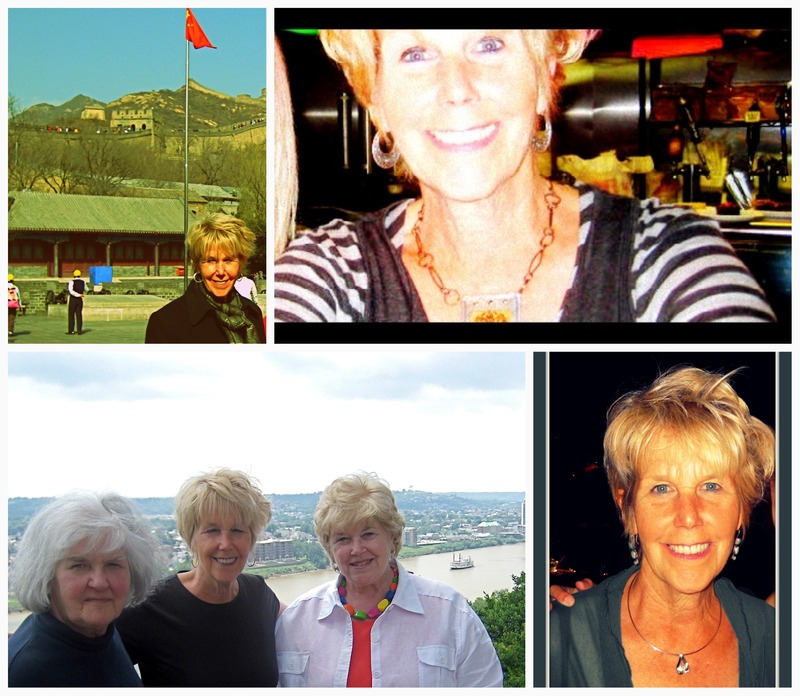 i cherish the memories i have of doing the cincinnati tour with aunt sally, aunt jean and mom. we’d drive around cincinnati and highlight the houses where they lived, the schools they went to, the parks they played in and places they ate. they have done this many times while visiting family in the area. this picture below is them standing overlooking cincinnati and kentucky. i love this shot. 1. she and uncle ed throw awesome holiday parties. for like millions of people. it’s a christmas morning brunch and she has great staples of recipes that she uses. she made her famous potatoes for the sunday brunch after my wedding. she also has a chili party. i’m going to see if she can write a story and recipe for this blog. 2. she is a lot of fun and very relaxed. i wish i had even a little bit of that in me! when i say relaxed, i don’t mean kick back on the couch and watch tv relaxed, but more like very calm demeanor which i admire a lot. 3. she raised two great girls and a husband named uncle ed (equally awesome). she didn’t raise ed, but you know what i mean. and a dog named cinnamon girl. 4. she gives the best darn gifts in the world. i once was going to mention to my mom aren’t we too old to be exchanging gifts? but decided no way hose’. shut thy mouth. i like aunt sal’s gifts. very thoughtful. 5. i love the collections. almost all of my holiday decorations are from aunt sally and uncle ed. for years, they gave us fantastic collectible, holiday decorations. what a blessing that i have them now. love and appreciate you, aunt sally. ← i love you, southwest airlines. I agree!!!! I love you Aunt Sal!! !